Grout Magnificent has been serving Lee and Collier counties under the original owner, Ron Sorenson. Our Mission is to be Southwest Florida’s leader in Tile Cleaning & Permanent Grout Color Sealing. At Grout Magnificent we understand that customers want a quality job done right by professionals who have experience in this line of work. All of our service technicians have a minimum of six months training in grout color sealing so you can be assured that each and every job we perform will exceed your expectations. Grout Magnificent is your Tile Cleaning & Grout Sealing Experts! Tile & Grout is notoriously hard to keep clean. Let us bring your floor back to life with our professional tile & grout cleaning system. After we properly clean the tile & grout we can now Clear Seal or Color Seal the cleaned grout. Unlike residential floors, commercial tile floors get the most traffic. With Grout Magnificent’s truck mounted cleaning units we can ensure the best results no matter how much embedded dirt and grime are in the floor. Color Sealing restores the uniform look of the grout while retaining the grout’s texture. Your floor will look like new while saving you thousands of dollars from not having to replace the entire floor. In just a short while Grout Magnificent can have your carpet looking like new again. We use a truck mounted carpet cleaning system that uses steam and a high pressure extraction unit to remove dirt, odors and allergens from the carpet. A Grout Clear Seal is a cost-effective way to protect the grout from stains after we clean it. A Grout Clear Seal penetrates the grout while leaving a protective barrier to prevent stains from getting too deep. To help protect your investment in Grout Magnificent’s grout color seal or clear seal services you will want to do periodic maintenance on your tile floor. Follow these simple steps to keep your floor looking its best. We are thankful and grateful for every Review we receive. 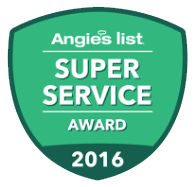 Our goal is to provide 5 Star service on every job we do.